When Adventure Park's new ride goes wrong, Emily, Jacob and Frank find themselves in a land where candy grows on tree! But things aren't as sweet as they first appear. Will their love of candy land them in danger? 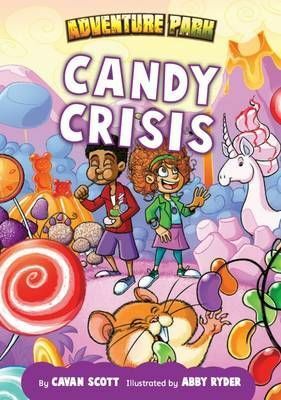 Candy CrisisAdventure Park by Cavan ScottWhen Adventure Park's new ride goes wrong, Emily, Jacob and Frank find themselves in a land where candy grows on trees! But things aren't as sweet as they first appear. Will their love of candy land them in danger?